I find things like this so exciting, these special moments that happen only once in a few years (we won’t see another one in the UK until maybe 2023) can be amazing scientific learning opportunities, or they can be a cause for celebration in your home. You can create your own traditions from just about anything, and using something as insanely beautiful and transient as a blood moon seems like the most perfect opportunity to bring a little reverence into the home. Below, I’ve shared a few of the ways to celebrate the lunar eclipse as a family. Learn about it! There are some great resources that I’ve found on space.com, all about this month’s lunar eclipse. A couple of videos but also a lot of information that you can adapt and pass on to your children. NASA has some lovely and free moon observation worksheets too. This moon will also be at it’s closest point to the Earth (hence “Super” being thrown in there too!) which is a great springboard to conversations around the moon and its different phases. 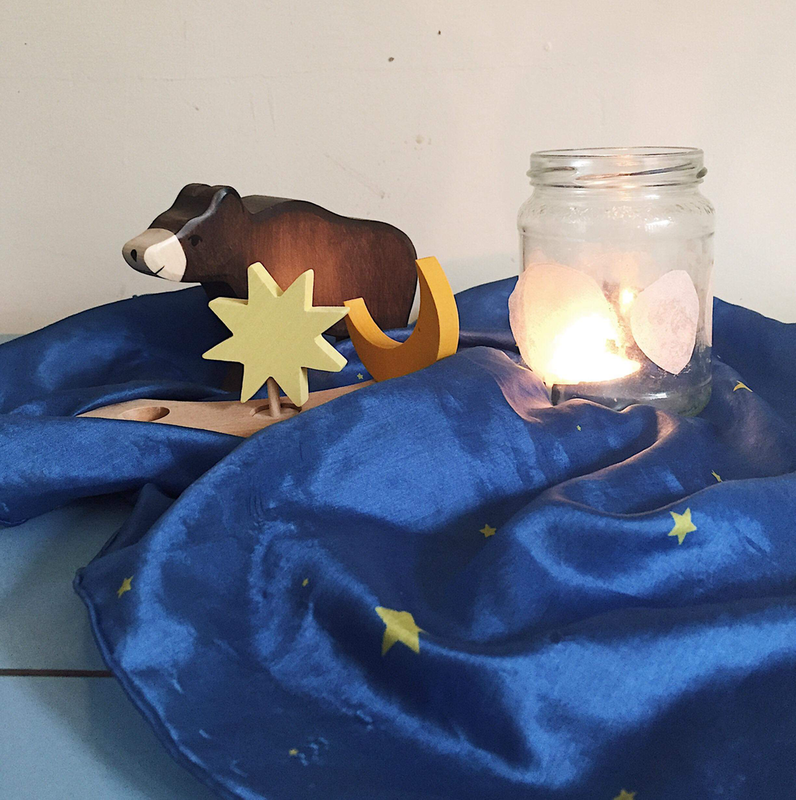 For younger children, Moon is a simple and beautiful book to spark these ideas, and for those slightly older I bought Look Inside: Space at the weekend for a space-obsessed pre-schooler and thought it looked pretty good for dipping in and out of. The term ‘Wolf Moon’ comes from past times where hungry wolves used to howl outside villages in January. While we don’t have many wolves here in the UK, January is actually fox mating season and you can often hear them in suburbs or cities. As an apparent signifier of change, this could also be a time to set very simple intentions with your children. You could perhaps get them to think about the lovely qualities that they like within themselves and write them down together. In my Monthly Letter, I wrote about painting stones and writing on them some blessings or affirmations and hiding them around your local park for people to find. They could be lovely words for someone to discover and take with them into the new chapter that the blood moon brings. Eloise had a gorgeous idea for creating moon phases out of Oreos on her instagram, the perfect excuse to eat biscuits and do a little visual and tactile learning while you’re at it too! Listen to moon music. There is the ‘music’ heard by Apollo 10 on the moon, but you could also listen to music inspired by the moon with Moonlight Sonata, Clair de Lune and La Nuit et L’amour. Light all the candles in the house and have a little black out to welcome the moon in. There’s something magical about darkness lit by nothing more than candles, and with the sun being almost entirely blocked the difference in light and dark is even more palpable. 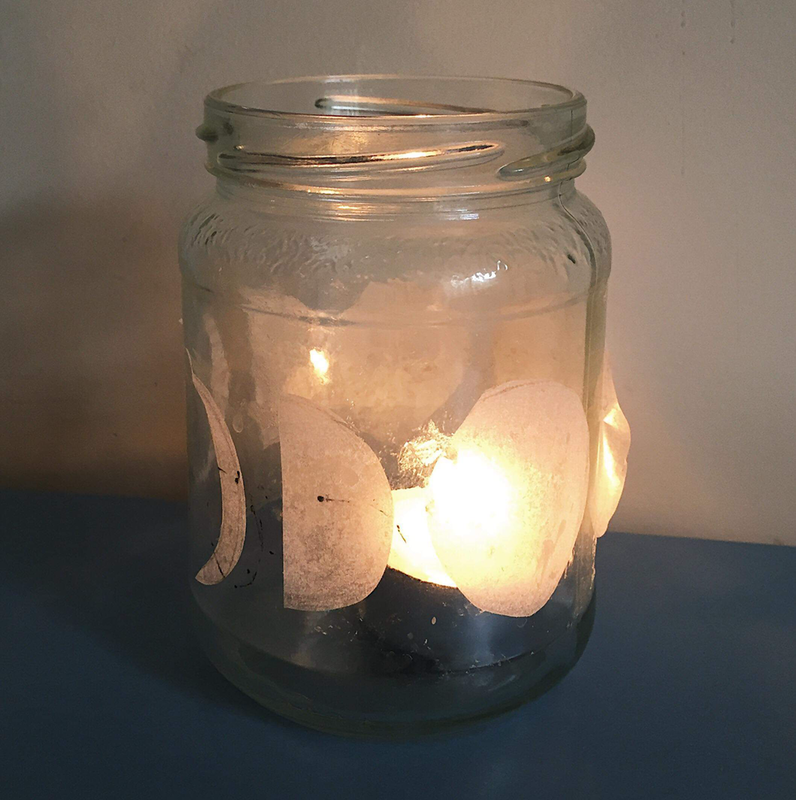 You could even create your own moon phase lanterns using an old jar, scissors, glue and some paper. If you catch the moon, I hope you enjoy it! It’s sure to be a special sight. If you’re interested in immersing yourselves in the seasons as a family, I’m very excited to share my first online guide to Spring at the end of February which will be full of inspiration for crafts, baking, activities and more. You can hear about it first by signing up to The Monthly Letter, which is also packed full of free and fun things to do with your family each month!